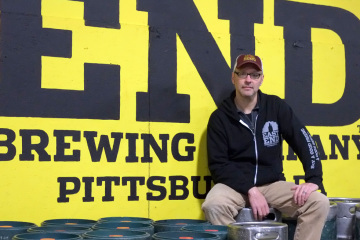 What happens when two scientists walk into a Pittsburgh bar? East End Brewing Company hosts Astronomy On Tap throughout the year. Photo by Heather Kresge. If you ever meet Ralph Crewe at a bar, he’ll probably be holding a meteorite and a beer. As the Carnegie Science Center’s program development coordinator, he knows a little something about space and isn’t afraid to wax philosophical about black holes and nebulas while he’s drinking a brew. Crewe is one of 50 brainiacs who participate in Two Scientists Walk Into a Bar, a free Science Center program that places pairs of experts — including archaeologists, chemists, engineers, astronomers and geneticists — at 25 watering holes throughout the city. Patrons are invited to grill the specialists on their area of expertise. The next boozy Q&A sessions will be held on Aug. 3. The idea started in San Diego. But Lamont Craven, adult programs coordinator for the Science Center, thought it would be a perfect fit for Pittsburgh, thanks to the abundance of universities and drinking establishments. Last December, he recruited 30 scientists for the inaugural run; all of them were excited to share their wisdom outside of a laboratory or lecture hall. Jake Bier, owner of Bier’s Pub on the North Side, hosted a neuroscientist and biologist. At first, customers were reluctant to approach the scientists. But with a little liquid motivation, they were firing questions faster than the speed of light (which, for the record, is 299,792,458 meters per second). Bier is participating again this around. Other bars hosting the August event include Grist House Craft Brewery, The Foundry Table & Tap, Red Star Kombucha, Rivertowne Brewing, Park House, Penn Brewery and Allegheny Wine Mixer. Some scientists bring visual aids or conduct on-site experiments. For the last event, Anthony Stewart laid out small bags of dirt at 11th Hour Brewing and challenged people to pick out the one that was contaminated. “It was a trick question. You have to analyze it and not just look at it,” says Stewart, who runs an environmental consulting and green design company. The Pitt graduate comes from a long line of scientists. His mom was a science teacher and his grandmother operated the first female-owned laboratory, which tested coal for purity. Despite being a font of knowledge about environmental science, Stewart has, on occasion, been stumped by inquisitive beer swillers. It’s all part of the fun, he says, adding that he’s not afraid to do a Google search and decipher internet fact from fiction. 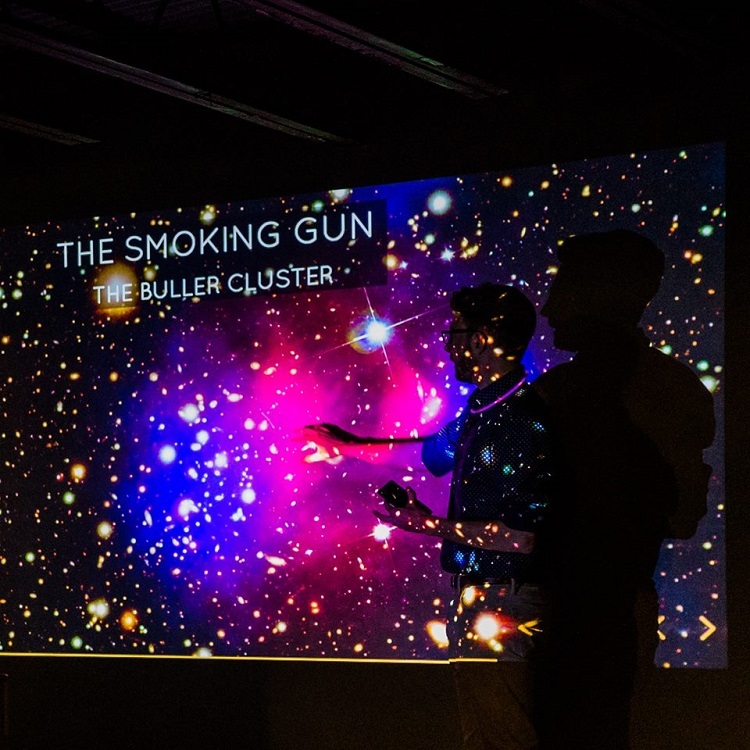 In addition to allowing two scientists to walk into his Larimer brewery, Smith regularly hosts Astronomy on Tap — fun, informal talks about space that include games, prizes and, of course, beer. Smith, an engineer whose business is staffed by people with backgrounds in chemistry and microbiology (the cornerstones of craft brewing), holds science near and dear to his heart. Astronomy on Tap was another out-of-town idea that made its way here: It started in New Haven, Conn., where Yale physicist Duncan Campbell was doing post-doctoral research. He got involved with the program, which now has chapters throughout the world, and thought the Steel City had the right stuff to make it work. Campbell recruits students, researchers and faculty members from local universities to give 10-minute intergalactic lessons. The next one will be held on June 7 from 7 to 8 p.m. at East End.